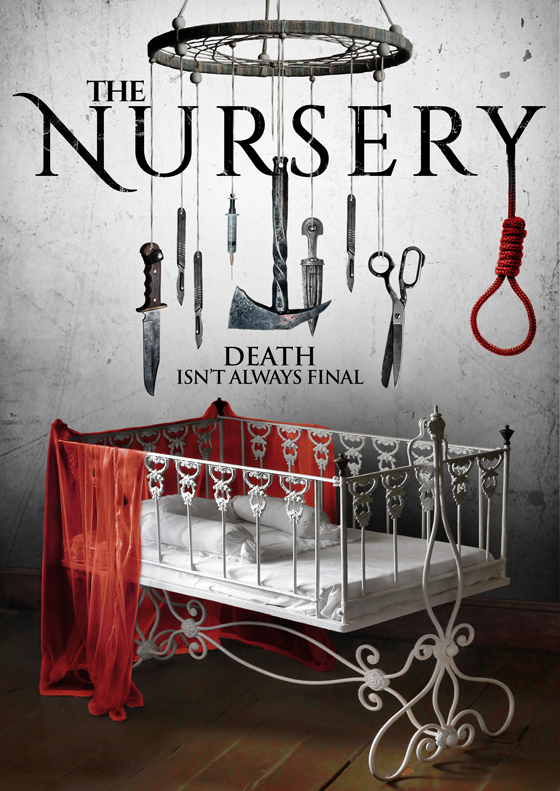 I just watched the latest offering from Uncork’d Entertainment, called The Nursery. Written by Christopher A. Micklos, and directed by both Micklos and Jay Sapiro, I got excited by the teaser trailer for this film when I laid eyes on it, and immediately jumped on it when the screener became available. So, after watching The Nursery, was I left crying for my mommy…or just crying to make it stop? Get comfy and grab a bottle while I tell you my thoughts on The Nursery. Essentially, The Nursery is the latest entry in the “babysitter horror” subgenre. We have our main character—the emotionally/mentally damaged babysitter, Ranae (Madeline Conway), and the loyal bestie, Calista (Emmaline Friederichs). We also have their two annoying tag-along friends, Grace (Carly Rae James Sauer) and Jeremy (Claudio Parrone, Jr.) thrown in to add to the fun of it all. Oh, and then there’s Ranae’s baby brother, Ray (Marco Lama), who’s probably the most enjoyable character of the entire film. Oh yeah, and there is a baby involved, but it really doesn’t figure in to the story as much as one would think. I was hoping there would be an appearance of a super creepy, super murderous infant with an insatiable lust for blood, but sadly, there’s nothing along those lines in this film. What The Nursery offers is a babysitter who’s watching a baby in a house in the middle of nowhere for a few hours for a weird couple, who much like their baby, we don’t see much of or hear much from during the movie. Once the couple leave the house for their outing, Ranae experiences a couple of strange things and reaches out to Calista. Dutiful Calista becomes worried and makes the trip to the middle of nowhere to make sure her friend is okay, and just so happens to bring along Grace and Jeremy for no real reason. I guess strength in number, maybe? Eventually, Ranae feels more and more that something is “off” in the house. She decides to contact her paranormal-obsessed little brother, Ray, to dig around online and see if he can find anything strange about the house or the homeowners. 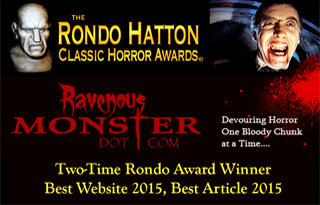 Ray comes through and secrets are dug up, and a partial explanation for the odd occurrences is given. Finally, the friends start to get picked off in unimaginative ways, made even more boring because the lighting in these scenes is so dark that the violence and gore attempts are pretty much lost. The eventual reveal of the Big Bad that’s responsible for the minimal carnage within the house is pretty anticlimactic. The remainder of the film is made up of a painfully predictable twist and the rest of the earlier explanation is given. Of course, there’s a battle between final-girl Ranae and the malevolent spirit to protect the previously forgotten-about baby. There’s one final twist thrown in, but again, it’s just kind of…meh. Once the credits started to roll, I wasn’t sad to see them. In wrapping this up, I was disappointed throughout The Nursery because I went in really wanting to like it, but it just completely fell flat for me. It had a couple of decent moments here and there, but I feel that a stronger story and stronger acting would have made this a better watching experience in general. Another thing that I liked about this film is that there’s a slight The House Of The Devil (2009) feel to it, but overall The Nursery is a predictable slow burn. So, that’s my take on this film. As always, you don’t have to take my word for it. If you want to see it for yourself, catch The Nursery when it’s released on June 5, 2018. Yes, your absolutely correct this is one of the worst movies I’ve ever seen. The whole movie was unconnected and just so predictable. I hated this movie, what a waste of film.